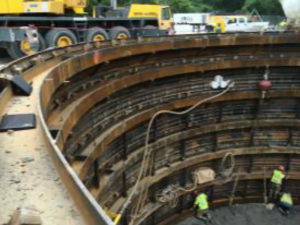 This paper describes the field and laboratory testing as well as the engineering analysis required for freezing to permit excavation below the existing liner plates and into the underlying bedrock. 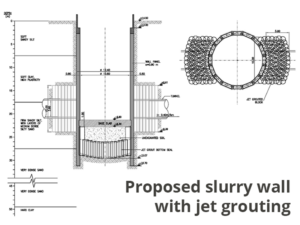 Ground freezing was used to complete a shaft excavation that had been previously attempted using a slurry diaphragm wall and jet grouting. 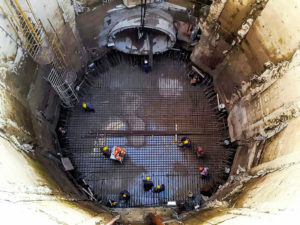 The freezing was completed around both the damaged shaft and the existing tunnel.